Now Hiring for our Alterations Department! You don’t need to have bridal alteration experience – we will train – but a basic knowledge of sewing is recommended. Your responsibilities will include bridal fittings with our brides and altering wedding dresses. We are a tight-knit group of helpful women so if you’re looking for a workplace that is drama-free, encouraging and has room for pay growth, consider One Fine Day! This career is flexible but being able to work 1 Saturday a month is a must. The position will be full time and is an hourly position. Starting pay is $10/hour during training and will be increased once the training period is completed. Raises are given for quality of work and great attitude. Our busy season is March through October but you will be able to keep up full time hours (if you choose to) during our slow season which is between November and February. We have an in-depth training program that will set you up for success! After completed, you’ll feel comfortable working one-on-one with our brides and will feel fully prepared to fit any dress. Our team has decades of experience and there is a lot of wisdom to be shared! 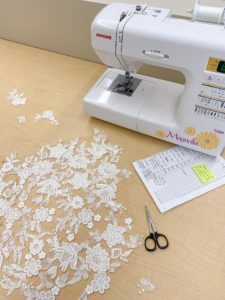 If you have a background in basic sewing, costuming and theater or have made your own clothes, bridal alterations is an easy transition for you. If interested, you can drop off your resume at One Fine Day Bridal (5310 Coldwater Road, Fort Wayne, Indiana) or you can email Autumn@onefinedaybridalandgown.com. Always feel free to stop in through the week and ask to talk to Autumn! Feel free to call as well (260) 483-8000. We hope you consider this opportunity to help brides feel beautiful and contribute to their very important day!